This ebook examines some of Houdini's escapades in Lancashire, England and explodes some of the myths that the world famous escapologist built up around himself. It draws on contemporary newspaper accounts and sources. 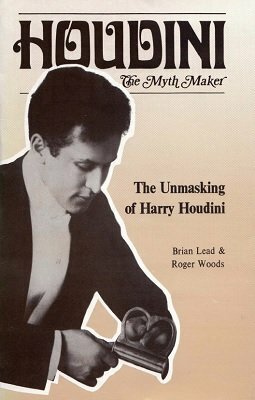 Amongst other stories it relates closely the controversy surrounding Houdini's appearance at the Palace Theatre, Blackburn, England in October 1902 when he faced one of his severest challenges from William Hope Hodgson, who was to go on to be a writer of fantasy literature before his death in the First World War. Houdini, a master of showmanship and publicity, was able to exploit the ordeal for many years afterwards. 1st edition 1987, 1st digital edition 2013, 59 pages.